Washington Drive Preschool reopens in Term 1, 2019 as an upgraded, newly-renovated facility. The Washington Drive Preschool has been renovated over terms 3 and 4 of 2018. This has been made possible by a DET Grant and further contribution by Kingston Council. Read an overview of the project. Whilst the renovation occurs, the Washington Drive 3YO and 4YO programs are operating from the ECMS Clayton South Kindergarten. Washington Drive Preschool is a community kindergarten located in a quiet residential pocket on the cusp of Oakleigh South and Bentleigh East. The kinder services residents from City of Kingston and neighbouring City of Glen Eira and City of Monash. We value the early childhood years and consider them as the foundation and layout of lifetime skills and abilities. 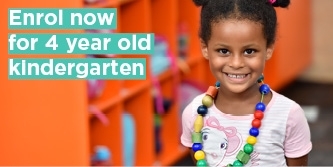 Our centre delivers kindergarten programs that will encourage your child to develop independence, improve language and their fine and gross motor skills, your child will learn about social boundaries, build self-esteem and foster their natural curiosity developing a love for life-long learning. Our teaching staff are very nurturing and have a wealth of experience in early childhood education. Washington Drive Preschool has excellent facilities with both indoor and outdoor areas that will provide your child with a safe and exciting space to explore. At Washington Drive Preschool children learn through play in a positive and caring environment. Our curriculum embraces the Early Years Learning Framework and is based around your child's strengths and interests. Our learning programs are flexible and adaptable to change based on your child's ideas and developmental stage. This allows your child to determine the nature and direction of their learning experience. We believe that this kind of environment inspires individual creativity, expression and resourcefulness, stimulating your child to reach their potential. 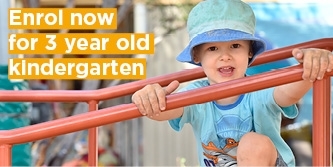 Our kinder feeds into many local schools with majority of children going onto Oakleigh South Primary School, Clarinda Primary School and St Peters Catholic Primary School in Bentleigh East.